For many companies, email marketing remains one of the pillars of their online strategy. Until recently, email newsletters were one of the best tools to expand existing customer relationships and build a loyal customer base. With open and click rates rapidly dropping, however, this strategy may no longer be the best way to achieve long-term goals. Find out in this article, what email newsletter alternatives there are and how to efficiently use them. Let’s take a look at the reasons behind the continued popularity of email newsletters in direct marketing. In terms of online marketing strategies, email marketing is categorized under direct marketing. Email marketing involves sending information to a defined group of recipients via a regular email newsletter. The goal is to generate inbound traffic, increase brand awareness, build trust and establish long-term customer relationships. There are two types of communication involved in email marketing: one-to-one communication, i.e. addressing one particular person at a time, and one-to-many communication, i.e. addressing a group of people. Frequency: How often should the newsletter go out? What is the best time of day to send out your newsletter to specific target groups? Can certain content be automated? Managing email newsletters can quickly become a full-time job, which is why it is important to set aside sufficient staff resources in advance. Data privacy: Is the subscription process fully compliant with data privacy regulations? Has the recipient given their consent via double-opt-in confirmation? Has the recipient been informed about the use of their data? Companies urgently need to review their compliance with data privacy measures in light of the new data privacy regulations that will go into effect in May 2018. Unsubscribe link: Has an unsubscribe link been included in the newsletter? Recipients need to be able to unsubscribe at any time. Failure to include this option could cause the authorities to get involved. Tools: Which tool is best for your company? Is a simple tool for sending emails and managing newsletter subscriptions sufficient or do you need additional sales and distribution support features? When choosing the best tool, it is important to consider value for your money, your particular goals and your budget. Distribution lists: How many distribution lists do you need to reach your target audience? How are you planning to update and manage these lists? It is important to make sure that recipients do not receive the same newsletter more than once. Editorial plan: How will you decide which topics to cover? Which topics will be sent out to which distribution lists? Newsletters are an effective way to quickly address new topics. However, topic planning is essential. It is important to determine how the newsletter will be integrated in your editorial plan right from the start. Effective structuring and precise planning will save you time and contribute significantly to good results. KPIs: How will you know your newsletter is a success? How can you track success? The first step, even before you start the email newsletter process, is to define your most important goals and KPIs. One aspect you may want to consider is open and click rates. The more precisely you define what you would like to achieve, the better your newsletter will perform. You also need to define how you are going to collect this data. Tools often come with features that automatically evaluate open and click rates. Developing a strategy: How does the newsletter contribute to achieving your goals in the context of the customer journey? This should be the central element in your plan. Defining the goals you wish to achieve with your newsletter should always be your first step. Do you want to entice new customers to purchase products or build a strong relationship with existing customers? Based on your strategy, you then need to decide at which stage of the customer journey you want to use the email newsletter and how to most efficiently employ tracking across different media (multichannel marketing). For many companies, email newsletters remain one of the best tools for reaching target groups with relevant content and establishing long-term customer relationships. However, the actual data regarding email marketing paints a very different picture. Mailboxes are overflowing and it is becoming very difficult to reach individual users. Email addresses are our digital addresses in the online world. We need them for many activities such as online shopping, registering for social networks and using other online features. At first glance, email’s reach as a communication channel appears vast. Current performance indicators, however, cast doubt on whether this is in all actuality still the case. One reason for this development appears to be the inflationary use of email as a medium. Users often subscribe to multiple email newsletters, resulting in information overload. Most people don’t want to go through the mountain of incoming emails they receive every day and so newsletters are left unopenend or deleted with a swipe on the smartphone. 4. Have newsletters become obsolete? Possible email newsletter alternatives? Today’s technology offers new and more effective ways to tap the advantages provided by newsletters. Newsletters communicate personalized information and help create long-term customer relationships. However, companies should ask themselves whether email is still the best and most efficient channel for conveying their messages. A comparison of sending newsletters via email or via messaging app indicates that messaging services are far more effective. Messaging apps shine in other areas as well. The unsubscribe rate for newsletters sent via messaging apps is less than 1% with an impressive delivery rate of 100%. Newsletters sent to some addresses via email never even arrive (bounce-back). That doesn’t happen if you use messaging apps. 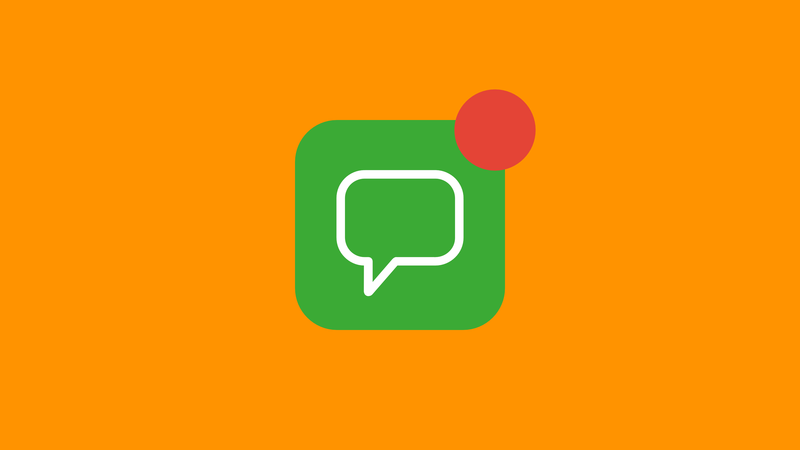 Reachability: Newsletters sent via messaging apps reach recipients practically in real time. Customer loyalty: Messaging app marketing helps build strong customer relationships. Subscribers grant permission for companies to directly enter their private communications environment, already creating an emotional connection to the brand. One-to-one channel: It is very easy to respond to information via messaging app. This one-to-one communication with customers has a positive effect on customer relationships. Personalized contact: Messaging apps also let subscribers choose among a number of key topics, ensuring personalized contact with relevant content. Messaging apps are not overcrowded: Messaging app marketing is a relatively new tool and a first mover strategy offers a major advantage in terms of customer communication. 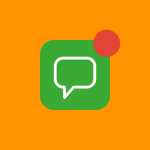 Messaging apps are still a long way from becoming like email inboxes filled to the brim. 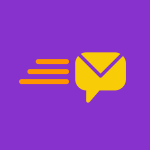 Easy to use: A number of tools designed for sending out newsletters via messaging apps are already available, allowing convenient delivery to a large number of subscribers and automatic evaluation of important KPIs. Familiar user interface: Subscribers to messaging app newsletters have a major advantage: Messaging apps are extremely easy to use. Newsletters can be opened directly from the locked screen without having to sift through your inbox. Broad target group: Today, more than 3 billion people use smartphones. WhatsApp and Facebook Messenger each have more than 1.3 billion users across all age groups. Newsletters remain an interesting marketing tool because of their many advantages. However, marketers need to ask themselves whether email is still the right newsletter communication channel. Messaging apps are an effective alternative bringing strong performance and additional advantages. We expect the strategic significance of this new channel to increase. You are looking for more relevant up-to-date information and use cases?